Alison is a divorce and family lawyer based in Wellesbourne, near Warwick. She has a reputation for giving practical family law advice to her clients and has a natural ability to empathise with her clients and their difficult situations. Alison has been named as a Recommended Lawyer for Family Law in the West Midlands in Legal 500 2018-19, having “carved a niche in advising British expats experiencing relationship breakdowns”. 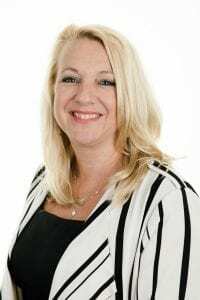 “Having specialised in family law since 2000 I have a wide range of experience across divorce, financial settlements, pre and post nuptial agreements and cases involving children. My parents divorced, and I have been divorced myself, so I think this gives me an insight into the difficulties faced by my clients and undoubtedly enables me to fully empathise with the situation they are dealing with. Whilst I am based in Warwickshire, my clients come from all over the country and indeed the world as I act for many British expats living overseas. Having personally lived abroad for several years, I can particularly understand the concerns and difficulties expatriates face when they need the help of a family lawyer but are unable to return to the UK. Before joining Woolley & Co, I held the role of Head of the Family Department but I preferred a role where I have more time available for clients. I think it’s essential to take time to listen to clients and explain advice and the procedures involved clearly. I have extensive knowledge and 20+ years’ experience in the field of family law but it is essential that clients feel reassured on all levels when they instruct me to help and advise them. I am committed to achieving the best possible outcome for my clients and I will alter my approach according to my client’s needs, whether that means adopting softly, softly or robust methods. My clients often report they appreciate the frank and honest approach I adopt when delivering advice whilst still maintaining a supportive and friendly rapport not forgetting, a sense of humour when possible! My hobbies and interests are mainly centred around my family and travelling with a passion for Latin American dancing. I like to cook from scratch when time permits and am just waiting for a vegetarian Masterchef opportunity! Alison qualified as a Legal Executive in November 2000. She joined Woolley & Co in October 2007 from a firm in the West Midlands and after a short break returned in 2016.